Graduation is an extremely important life event. As such, it often calls for great celebration. 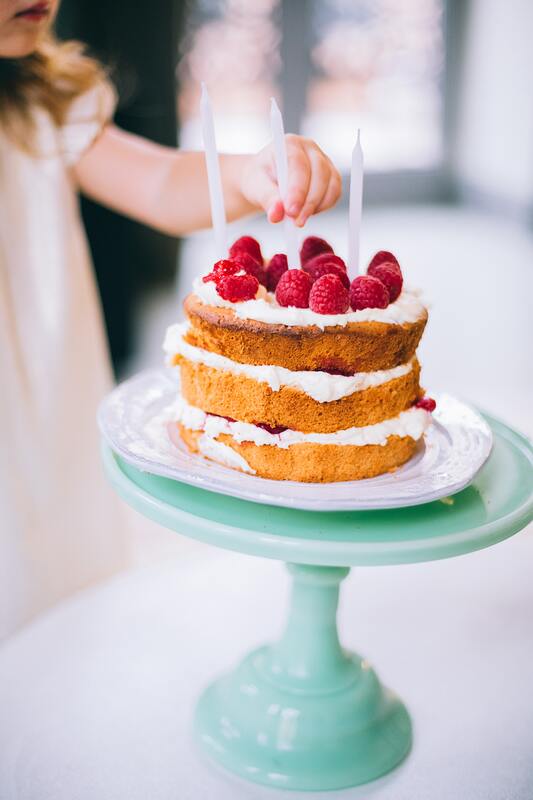 And there is no better way to celebrate a special moment than with a cake. However, when making a cake that will stand out you never want to go with the normal. As graduations are special events, graduation cakes should also be fun and festive. The following desserts all show that spirit in a unique and creative way. When making or choosing graduation cakes it is best to do something that both references the event and adds a bit of flair to the dessert. Baking a plain cake is a relatively simple process, but such desserts are not as eye-catching or as visually inviting as they could be. 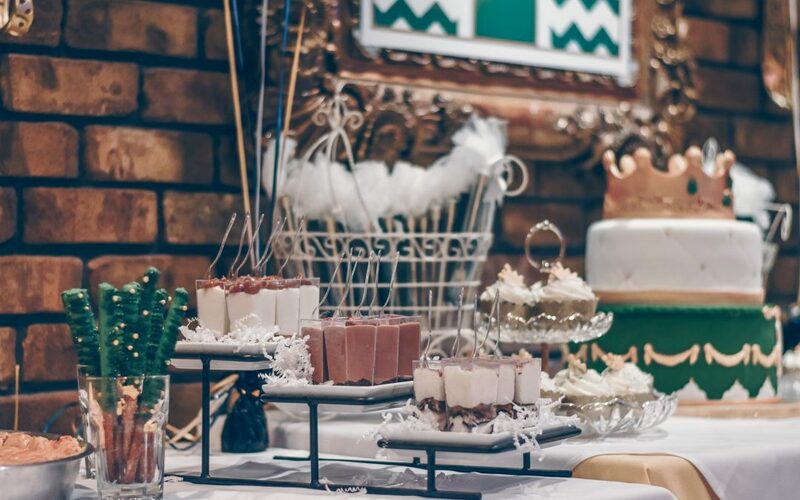 Each of the graduation cakes laid out in this guide go above and beyond the usual fare, providing a delicious treat that also readily celebrates any graduation in the way that it deserves. Yes, making a cake in the form of a graduation cap (complete with the tassel) seems a bit on the nose. However, there is nothing more iconic graduation image than the cap. 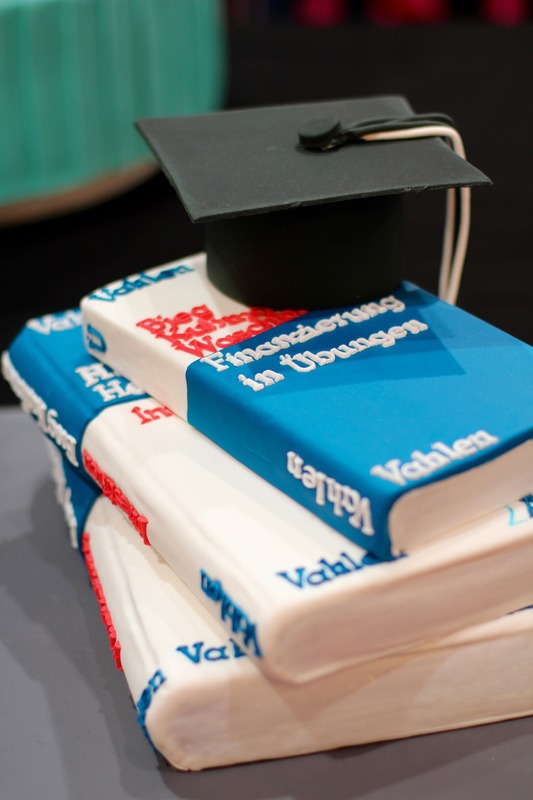 For that reason, this is one of the best graduation cakes around. Making this one is quite easy. You simply cut or shape multiple cake layers into a cube and then ice it completely with dark frosting (school colors work as well). Add an extra layer on top that sticks out in all directions, ice that, and then use frosting to draw on the finishing touches. you can make a tiered or sheet cake with a simple graduation cap on top. Cap cake toppers work as well. Both of those enable you to make a cake in the way you want, but they still add on the special graduation touch. Regardless of how you do the cap cake, there is no doubt that it will fit right in with the event. This cake is similar to the graduation cap in that is utilizes the entire dessert, but it goes with a bit of a different spin that takes it down a truly unique road. Here, you want to craft the dessert so that it looks like different books. You can either put different square cakes next to or on top of each other and then draw on covers with frosting, or you can use cakes to make a cube and then ice the sides so it looks like books stacked on top of each other. Both of those options are more than reasonable, and they each help give off the image and theme that you’re going for with graduation cakes. This is one of the more creative ideas because it stays school-centric but comes about in a way that is different from most traditional graduation cakes. Regardless of what option you choose to go with, this is likely to wow just about any graduation party or event. If those options don’t appeal to you, there is always the choice to do one giant open book with a printed picture of the graduate or a note to the graduate inside. Of course, a special picture will require the help of a bakery, but it is quite impressive when done right. 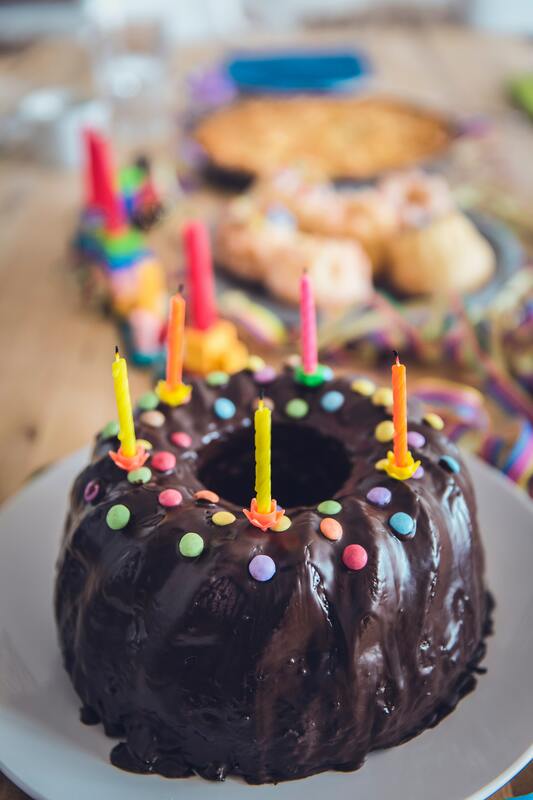 Though the above two cakes are made to represent a set image, this cake is much broader because of the sheer number of choices there are for it. 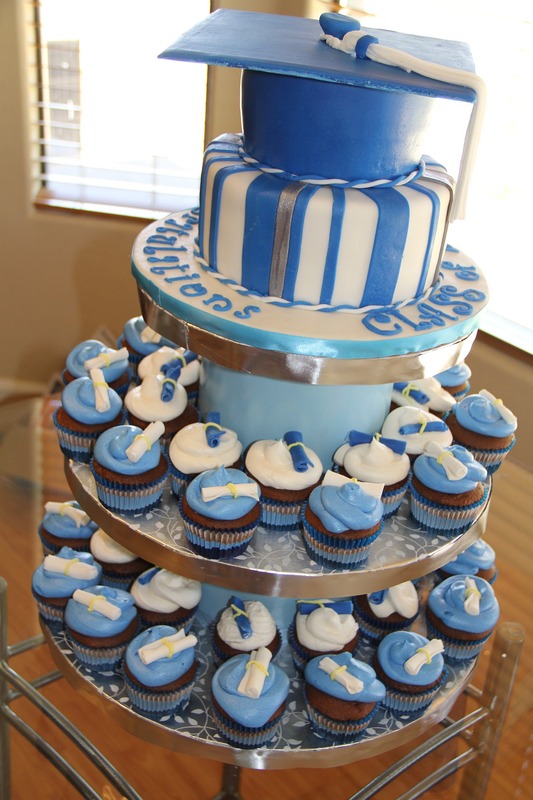 The idea behind this fun cake is that it is a tiered cake with a graduation-theme put on top of it. For instance, three layers stacked on top of each other and then decorated with graduation caps and diplomas on the sides. Or, you could do every layer as something different (diplomas, then gowns, then caps) with a message on the top. There are many choices here, which makes the dessert so fun to both look at and eat. Not only does it work great in the realm of graduation cakes but, as there are so many ways to decorate, you can personalize the cake in any way that you want. ​This is also a great option for people who want their dessert to stand out above the rest. By standing up off the table, the height of this cake is sure to draw in the eye. 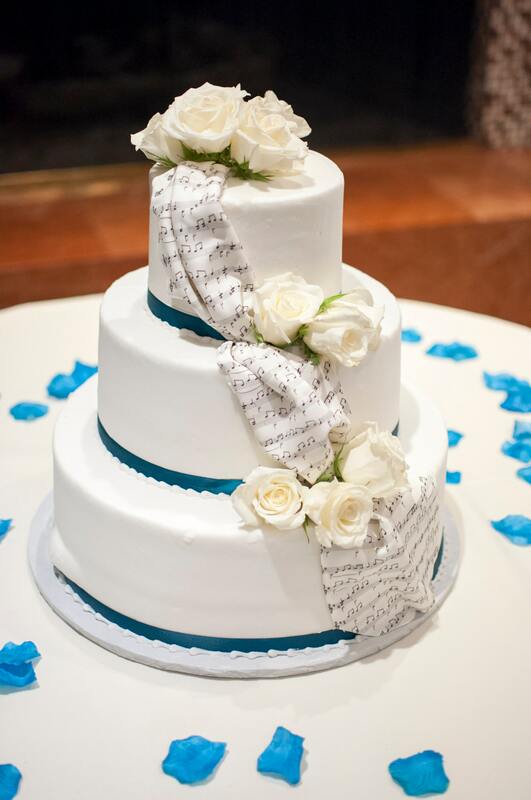 If you like that idea but don’t want to go with traditional iconography, you also have the option to create a three-tiered cake (iced in festive colors of course) and leave it bare except for a written message on the top. That approach, while not as involved as the other options, gives the cake a clean look that also reinforces the idea of graduation. Not all graduation cakes have to be of the traditional sheet, square, or round varieties. They are inherently malleable desserts, which means you can branch out into different forms or looks. One such example of that is the idea of taking a roll and turning it into the entire point of the graduation process: the diploma. Jelly rolls are already unique (and tasty) on their own. Making one into a diploma for a graduation is a simple step that takes the special dessert to the next level. 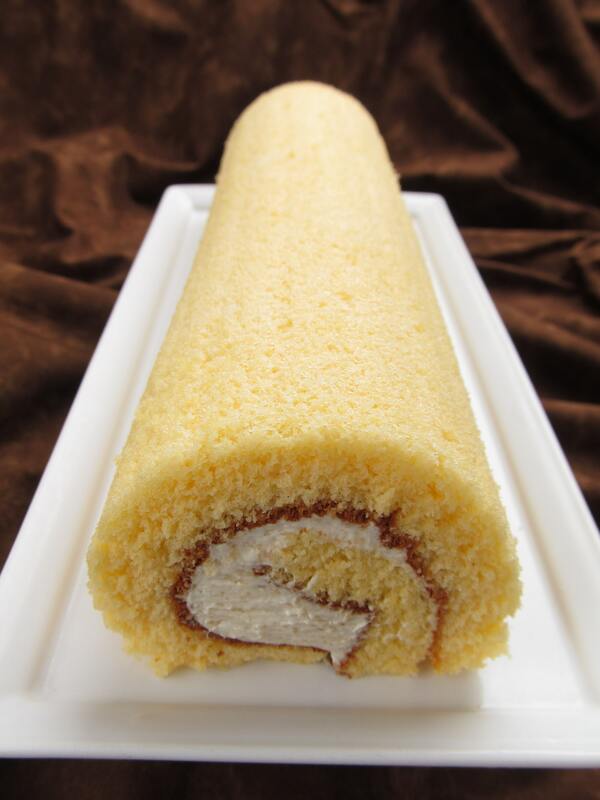 To make this style of cake, you simply want to follow the instructions for a jelly roll cake (choosing your favorite flavor and filling of course) and then frosting it white to that it appears like a diploma. Icing is a great way to put on the finishing touches, and it will give you the ability to spice it up as you need. You can add in some lines for wrinkles, or you can do the sides so the cake truly appears as a rolled-up piece of paper. Just be sure to put on a bow to give it that final finishing touch. You can draw one on with icing or you can simply wrap it the middle in a real bow (which won’t affect the cake at all). That will give the entire dessert the feeling you’re going for. As the roll is going to be a solid color, you also have the option to frost on a name or personal message if you so choose. ​​Graduation cakes need to bring up graduation, but that does not mean they need to be overly complicated or too complex. In fact, sometimes simple is a good way to go. A congratulations cake is one of the best graduation cakes out there because it enables you to be subtle in a way that still shows your appreciation for the graduate. The only thing that matters when making this style of dessert is that there is a personalized message on the top that congratulates the graduate on all their hard work. That means you have free reign beyond that, which is appealing for those who don’t want to be confined into one shape or idea. This style of cake can be round, tall, short, long, or skinny. It can be layered, it can be a sheet, or it can be a tower. There is an incredible amount of versatility here, so don’t hold back on your image. The point is to have fun after all. On that note, you can also branch out with the message. Of course, congratulations are in order, but that does not mean you have to only say one thing. This is your chance to tell the graduate how you feel about their work and success. You can spice the message up a bit by referencing a job well done, talking about the future, or making it more lighthearted. The possibilities are endless and you shouldn’t shy away from creativity. Sometimes, when looking for good graduation cakes, you want something a bit more personal. Though congratulations cakes are perfect towards that end, there are other ways to perfectly tailor the dessert to the graduate. Decorating the cake in the vein of the graduate’s major or subject of interest (in the case of a high school graduation) is another way to bring a bit of extra fun to the cake. Graduation cakes tend to have a lot of common themes, and this is a good way to break that mold and take a completely unexpected route. 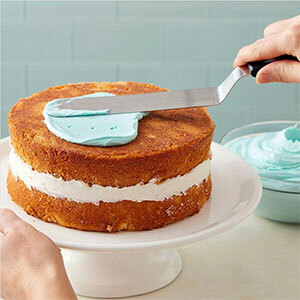 For example, if you’re making a cake for a marine biologist, you can ice it blue and then cover the sides with candy seashells or graham cracker “sand.” If you’re doing something for a graduate who loves history, you can do a tiered cake where each level represents a different historical period. Those ideas go a long way, not just in terms of looking good, but also in terms of accurately representing the person at the center of the graduation. In addition, going this route enables you to adapt your cake to the amount of work that you’re able to do. Baking can be a daunting process for some and evoking the ideas behind a subject can be as simple or as complex as you want. Also, regardless of what you choose, do not be afraid to incorporate a cake topper or certain figures to truly hammer your theme home. This style of cake is similar to the major one except, rather than decorating in the vein of a school subject, you decorate it with the graduate’s school in mind. 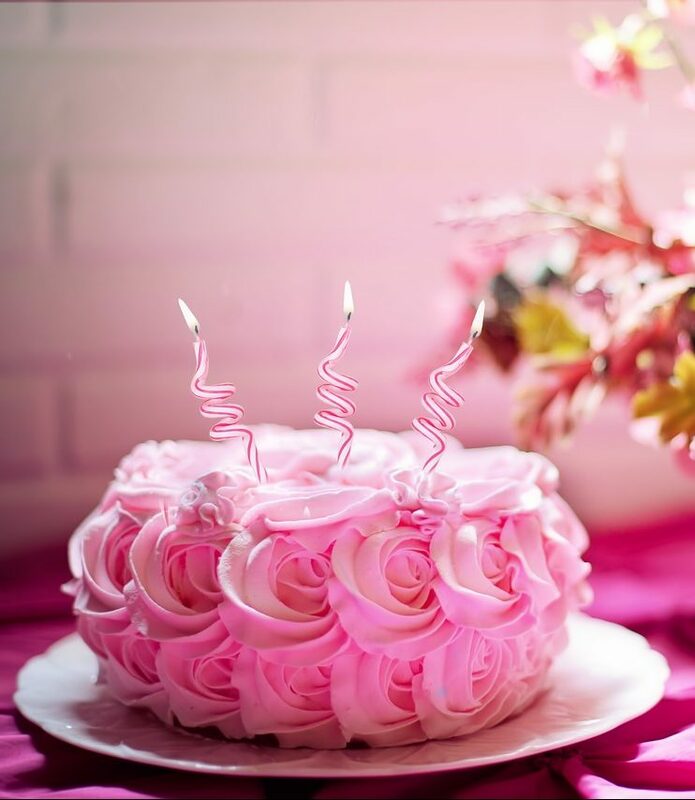 Utilizing the school may be simple as graduation cakes go, but that does not mean it is lesser than other options. Just note that if you’re planning on taking this route you want to spice up the decorations as much as you can and really lean into the theme. To achieve that goal, you first need to frost the cake in bright school colors. You can combine the colors in a striped pattern, you can make it so that the cake is half one color, half another, or you can do a tiered cake with each layer being a different school color. If you want, there is also the option to do a neutral colored cake (preferably white) and then use subtle dots or lines to evoke the school colors without them taking over the cake. You also want to decorate this dessert with either the school initials, the entire school name (if it fits), or with the school mascot. “Cal” printed across a blue-and-yellow cake looks enticing, but so does a red-and-gold USC or orange-and-black frosting with a tiger on top. This route may seem like one of the more obvious graduation cakes, but if you do it up and make the colors pop it will surely be a hit at any graduation party. There are plenty of different ways to bake graduation cakes, and those choices make them quite difficult to pin down. However, rather than spending hours agonizing over a good idea, simply pick one from this list. All of the seven graduation cakes in this guide are creative and will be sure to get plenty of compliments. More importantly, they perfectly complement the event and show the graduate just how much you appreciate and care for them.